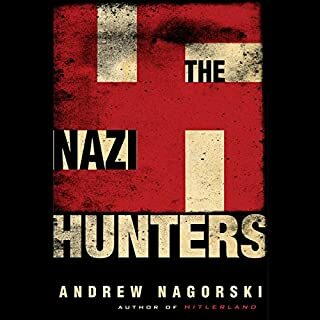 More than seven decades after the end of the Second World War, the era of the Nazi hunters is drawing to a close as they and the hunted die off. Their saga can now be told almost in its entirety. After the Nuremberg trials and the start of the Cold War, most of the victors in World War II lost interest in prosecuting Nazi war criminals. Many of the lower-ranking perpetrators quickly blended in with the millions who were seeking to rebuild their lives in a new Europe, while those who felt most at risk fled the continent. 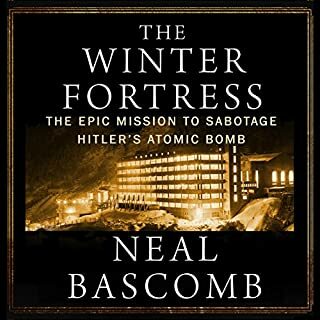 Neal Bascomb, a New York Times best-selling author, delivers the spellbinding story of the downed Allied airmen who masterminded the remarkably courageous - and ingenious - breakout from Germany's most devilish POW camp. For those interested in history, particularly about the Second World War, this audiobook should be of interest. 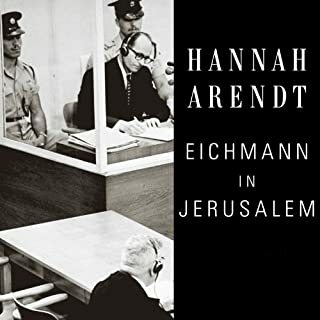 I've read books about the Eichmann kidnapping and trial, but the focus of this audiobook is strictly on the kidnapping and it is incredible in its ability to convey suspense while diving in to fascinating detail behind the operation. To its credit, it spends just enough time to paint a picture of the crimes, a little more on the last days of the Reich, and an interesting account of his escape. But it kicks up a notch with his pursuit, discovery and capture. Despite the detail (often a downfall in such narratives) it creates and sustains the suspense. It was very well read and held my interest throughout the story. 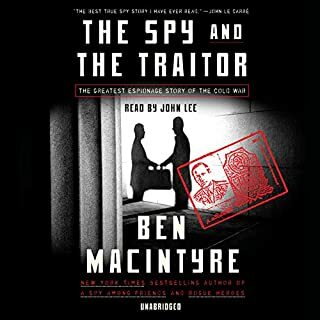 I've listened to many audiobooks and I would rank this among the top: again, for those who are interested in the over-arching story. This is probably the best audio book I've ever heard. Where to begin after that? Simply to say that Neal Bascomb has written a taught, highly suspenseful narrative of the capture of one of history's greatest monsters. The book is perfect for audio. All the meticulous details of the planning, Eichman's fearful and almost successful efforts to allude capture, the stalking of the prey, and the execution of an incredible mission are wonderfully portrayed in Paul Hecht's excellent reading. I didn't want it to end. This is one of the few non-fiction audiobooks I've heard that is completely engaging. I loved the narrator's voice and sometimes felt like I was listening to a radio news reader from back in the day -- there was something authentic to his style that fit the subject matter. 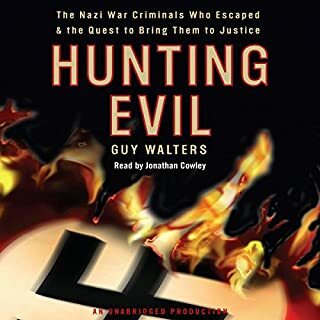 The book itself was an amazing account of the hunt for a Nazi fugitive halfway around the world (and the fact these guys pulled this off without cell phones, computers, Internet...it's mind-boggling). There's just enough background information on Eichmann to inform the listener on his crimes, and even better there's a good amount of information on the backgrounds of many of the key heroes involved in the hunt. I found it so uplifting to imagine all these men working together with no pay, no guarantees, no safety net, in order to pull off one of the most magnificent bring-to-justice stories ever. This is a wonderful audio book that covers all relevant facets that I wanted to hear about. You learn about the atrocities of Eichmann, his family, and Israel's commitment to finding him. The really great thing is that the action continues to rise until near the end. Very professional narration as well, and I was very pleasantly surprised. Also a fair amount of interesting information about the hunt for Josef Mengele. After reading one of Bascomb's previous books (Higher) and loving it, I decided to buy this one as well. I was glad I did. Neal has done a great job of providing the history of the horrors perpetrated by Eichmann and the story of how he escaped capture for so long, but was finally brought to justice. I had a difficult time with the first 25% of the book, due to the nature of what had to be shared. Fortunately Bascomb gave enough detail to sober you about Eichmann's nature, but didn't give you so much as to make you want to quit reading. Eichmann's justification for his actions was hard to believe, as was his lack of remorse for all he had done. It was also both frightening and disappointing to learn of the individuals and organizations that helped Eichmann and many other Nazis escape from Germany and change their identities. Some of the "close calls" before, during and after the capture were interesting to learn about. A very good read, but be prepared for some pretty sobering stuff at the beginning of the book. If you want to try one of Neal's books, but want slightly lighter fare, try "Higher" - the story of the race to build the tallest skyscraper in New York City. 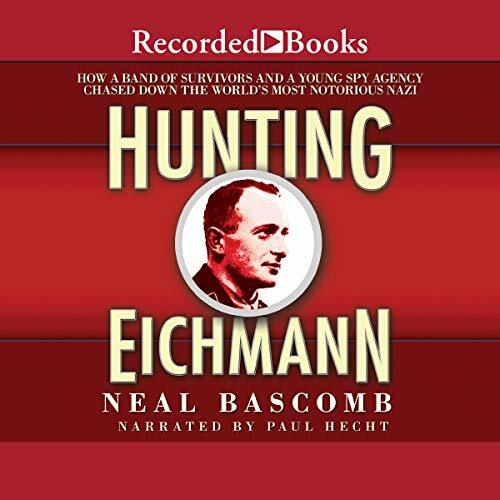 Neal Bascomb has done a real favor for those who love history, mystery, spies, and true crime with "Hunting Eichmann." The cat and mouse story of his capture in Argentina by Mossad agents is one trip! The story of their successful location of Eichman and the capture (or kidnapping?) of the Nazi is a wonderful story. This is a well written and wonderfully read book. Insights into the Nazi led Holocaust are a revelation. Well worth the time of Audible fans. As the family member of generations of Jews who were murdered under this mans watch I appreciate the story of his capture, his trial and his ultimate death. This book gave me a glimpse into the heart of darkness without recreating to deeply the horrors of who was lost and how they were lost. While telling the the detailed story of what Eichmann did, it is more about the courage and heart of those who died and mostly those who hunted and captured pure evil in human form. It is right that there has been only one death sentence and execution by the state of Israel and that was reserved for this creature of history. I listened with rapt attention to every word. 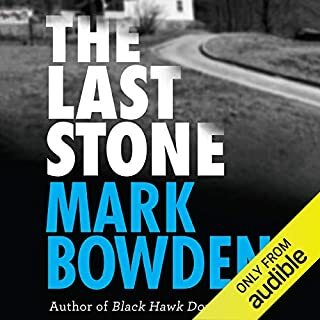 Great audio book, great listen and great narration. Like a spy novel but better. Then again, true history is stranger than fiction. Great story, well read. Very interesting stuff. It is hard for those of us who were not directly involved in the holocaust to conjure up in our wildest imaginations what it must have been like. Eichmann, one of the worst of the Nazi butchers, maintained his innocence and belief in God right up to the last minute of his life. The revulsion the Jewish captors felt for Eichmann is palpable. Realizing the effect it had on them to have to attend to his every need while he was in their custody, sleeping next to him, taking him to the bathroom, bathing and shaving him, even being handcuffed to him, raised my own level of disgust until I too wanted to retch. Imagining Eichmann sitting between two Jewish guards at his own trial is a bit ironic, but an assertion of God's justice. In fact, I don't think they could have caught the man without God's help. Everything had to fall into place perfectly, or he would have escaped. I have heard it said that when we are able to see Satan for what he is, we will all exclaim, "THIS? This is the cause of so much evil and misery in this world? He is a pathetic nothing!" I can't help but think that for the Jews who finally captured this personification of evil, they must have felt the same way. He was pathetic to the point that at least one of his captors actually felt sorry for him. That is saying a whole lot. I think reading books such as this one is as close to one can get to feeling in some small part what these people must have gone through. I hope none of us ever has to learn it first hand. This account of hunting one of the most notorious war criminals in history is non-stop. I was riveted from the start. After reading "The Rise and Fall of the Third Reich", "Bonhoeffer", and "In the Garden of Beasts" it was nice to read this post-war history of bringing this monster Eichmann to justice. Additionally, there were many other details concerning the Third Reich that were related to this main story and equally fascinating. Cannot recommend this book highly enough! Although the outcome was known, the story of Eichmann’s capture beautifully told, with many wonderful insights. If you are interested in this subject, listening to this audiobook represents time very well spent.